Navkar corp - increasing capacity by 234%. It says target of Rs 265. CMP 171 after 13% increase today. This is the note I have made somewhere which I tumbled today. It was so lucrative business highlight that made me think about it. I read that description again on the above link which is very very attractive. Anyone can fall for it.But, when I checked today, then I felt good. I have not invested here. 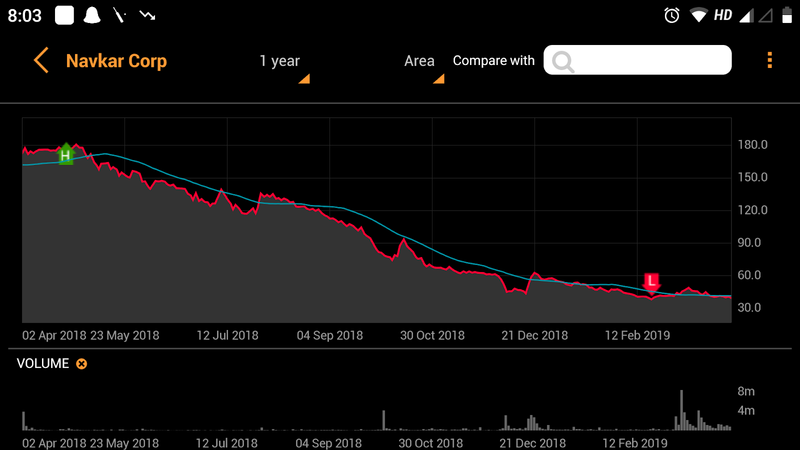 From Rs 171 at that time to now Rs 39. It is just at 22% now from that time. Why did not I have bought I do not remember. Stock Market is very tough and experts are not immune to it.